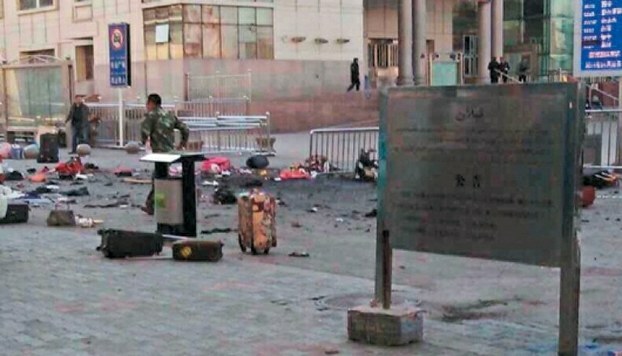 Major cities across China stepped up “anti-terrorism” security measures following a suicide bombing at a railway station in the capital of the troubled northwestern region of Xinjiang, targeting ethnic minority Uyghurs in particular, official media and an exile group said on Friday. Two days after the bombing and knife attack that killed three people and injured 79 was blamed on attackers infused with “religious extremism,” thousands of armed police were deployed in major transportation hubs and city streets, official media reported. Meanwhile, China’s mostly Muslim Uyghur minority is being explicitly targeted for searches and detention, Dilxat Raxit, spokesman for the Germany-based World Uyghur Congress exile group, told RFA. 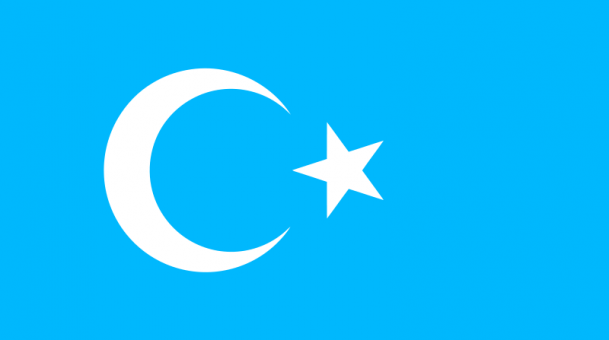 He said the majority of Uyghurs detained in the wake of the attacks—estimated at around 100—had been released by Thursday morning, however. Official reports have identified one of the alleged assailants as Sedirdin Sawut, a 39-year-old man from southern part of Xinjiang. Raxit said the authorities in Xinjiang, Beijing, Shanghai, Guangzhou, and other major cities are now carrying out “discriminatory” detentions and searches of Uyghurs, particularly students. “We have heard that in Beijing, they are calling on local people to inform on the whereabouts of any Uyghurs, and the same is happening in Shanghai,” Raxit said. “This is like a political test for them,” Raxit said. An Urumqi resident surnamed Zhou appeared to confirm Raxit’s account. “This has had a huge impact, and the government has stepped up surveillance targeting specific groups and ethnic groups for rigorous interrogation,” Zhou said. Authorities across China have scrambled to make a show of force following the attacks, which came at the start of China’s “Golden Week,” when millions take to public transport systems in a national week of tourism and vacation. Police staged an “anti-terror” drill late on Thursday at the Beijing Railway Station, Beijing’s municipal police department said on its official Twitter-like account. And authorities in the southern city of Guangzhou dispatched 11,000 police officers, 4,000 of them fully armed, to patrol the city, which is now rigged up with nearly 400,000 surveillance cameras. The move was ordered by the provincial branch of the ruling Chinese Communist Party, the Southern Metropolis Daily newspaper reported on Friday. Meanwhile, tourist arrivals in Urumqi plummeted by around 40 percent, according to tourism industry sources. “People daren’t come here from elsewhere in China, and we have had a lot of cancellations, people postponing their travel plans,” an Urumqi-based tour guide surnamed Huang said on Friday. According to official reports of the incident, which was styled a terrorist attack by religious extremists, two of those who died had detonated bombs they were carrying, while the third was a bystander. “We must recognize that the fight against the Xinjiang separatists will be a long-term, complex, acute struggle against violent terrorists, and we cannot relax for even a moment,” Xi was quoted by the official Xinhua news agency as saying. On Thursday, China’s foreign ministry hit out at a report from the U.S. State Department which raised questions over Beijing’s definition of terrorism. “China has taken note of the report released by the U.S. State Department and expressed dissatisfaction with the untrue words involving China in the report,” foreign ministry spokesman Qin Gang told a regular news briefing in Beijing. There remains a lack of detailed and credible evidence to support Beijing’s claims that some violent incidents were indeed terrorist incidents, it said. The Urumqi attack was the latest in a string of violent incidents linked to tensions in Xinjiang, where rights groups and exiles point to heavy-handed rule by authorities, including curbs on Islamic practices and the culture and language of the Uyghur people. In March, a group of attackers state media said were from Xinjiang went on a stabbing spree at a railway station in the city of Kunming, capital of southwestern Yunnan province, leaving 29 people dead and 143 injured. Deadly 2009 ethnic riots in Urumqi left around 200 people dead and sparked an ever-intensifying security crackdown targeting the Uyghur ethnic group. Reported by Qiao Long for RFA’s Mandarin Service. Translated and written in English by Luisetta Mudie.